The ubiquitous “Employees Must Wash Hands” signs you see in restaurant are so passive. Is a sign really going to force anyone to wash their hands? Good luck, sign! What are you going to do? Tell on them if they don’t? Actually, that’s exactly what’s going to happen. If Georgia-Pacific Professional and CloudClean have their way, bathrooms will rat out any employees who don’t exercise proper hygiene. The two companies have joined forces to create a new “unique hygiene compliance solution” that digitally reports workers who don’t wash their hands in the restroom. 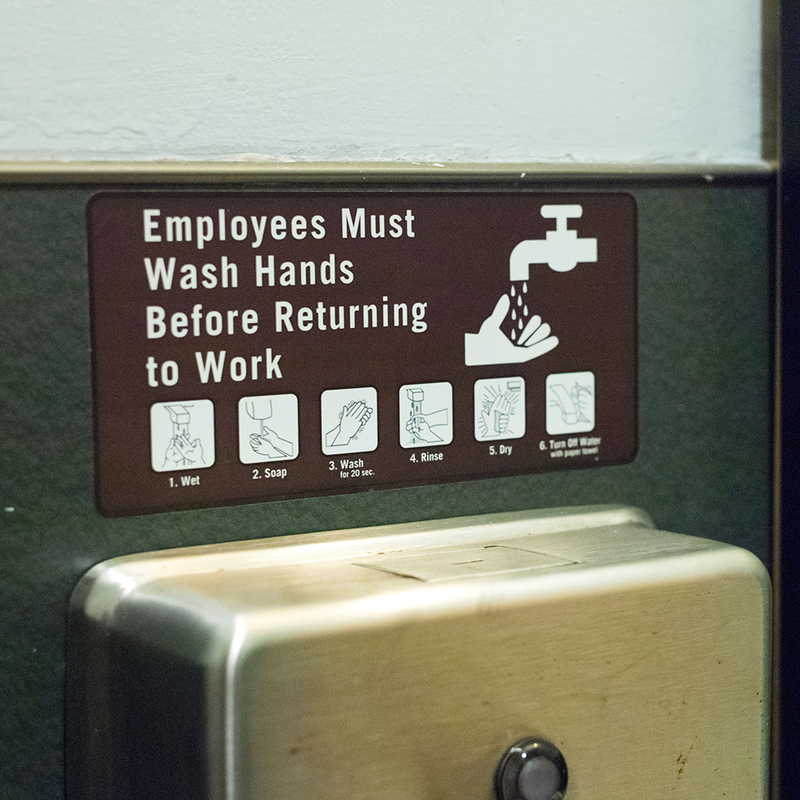 They hope this new system will greatly improve hand-washing compliance—which a study they cite says is done properly by as few as one in four food workers. The system is surprisingly clever, though also a bit Orwellian. CloudClean Hand Hygiene Complaince Technology requires employees to wear a “smart badge.” Sensors placed around the restaurant track when hand washing is supposed to take place. When a worker washes with soap, this data gets recorded into the system so your boss can track you and say, “Hey, look, you actually washed your hands, you filthy animal!” Equally creepy/helpful, the badges can even “emit a gentle chirp” to remind workers if they’re about to “forget” (cough) to wash their hands. This all might seem a little over the top, but this lack of hand washing contributes a great deal to the spread of foodborne illness. So if it can reduce food poisoning, it might be worth a try.